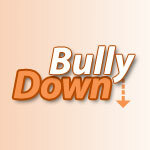 BullyDown is the first-ever text messaging-based bullying prevention program for middle school-aged children across the United States. The 7.5 week program is intended to be delivered as a “booster” that can be delivered to middle school students at any school to enhance the programming that they are receiving and to reinforce the most important maxims of anti-bullying programming. The program was iteratively developed with feedback from youth, including focus groups and a Content Advisory Team. To date, we have conducted a pilot test with middle school youth in the Chicago-area. Guided by the social-emotional learning (SEL) framework, program text messages discuss a variety of topics including anger, empathy, perspective-taking, respect for diversity, attitudes supportive of aggression, coping, intentions to intervene to help others, communication, and problem-solving skills. This project was conducted in collaboration with Dr. Dorothy Espelage, Professor at the University of Illinois at Urbana–Champaign.